With thousands of privileged accounts and keys across your organization, searching for the right credential can be inconvenient and time consuming. Locating needed credentials quickly is crucial. Admins responding to fire call or incident tickets need to know where to look to get privileged access and solve problems fast. 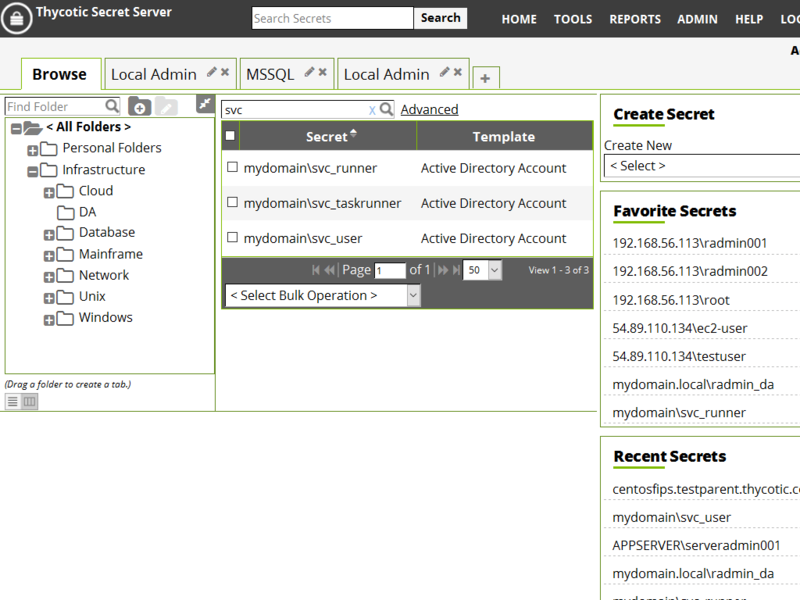 Secret Server’s Dashboard search feature helps IT admins organize credentials and find them quickly and easily. With Secret Server password manager you can search for Secrets using a simple text search. The search will pick up any keywords pertaining to a certain Secret. And you can browse all Secrets to see everything you have access to. 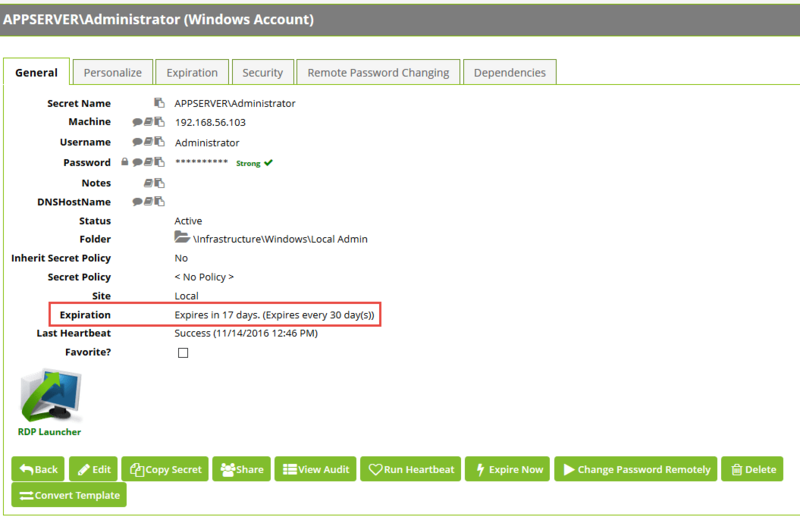 The customizable Dashboard also allows admins to create tabs for folders and saved searches to quickly access commonly used credentials. TRY SECRET SERVER FREE FOR 30 DAYS. It’s fast to install and easy to use! Start your free trial using the trial form. You can control what Secret fields are searchable, and even add them as custom columns on your Dashboard. That way you have granular control over what data users can search on to prevent exposure of sensitive fields. More information about custom columns and search indexing can be found in the Secret Server User Guide.